People love taking photos and like to save these directly to their device. But sometimes accident happens and things go in the wrong direction like losing iPhone photos which can be a big shock to the user. As these photos are one's lifetime sweet memories of their friends and family members and as well as many others. However, it's not a rare thing because there are many people who accidentally delete their photos for a minor software update and later they may find they still need those photos. So, whatever the reason is here we will provide you top 3 ways to recover photos from erased iPhone XS/XS Max/XR/X/8/8 Plus/7/7 Plus/6S/6/SE/5s/5. If you don't have backup and looking for an easy way to recover photos from erased iPhone without backup then Tenorshare UltData will surely help you. It can help you recover deleted data (photos, messages, contacts, notes, etc.) from iPhone without backup and selectively restore iPhone data from iTunes/iCloud backup as well. Just follow the below simple steps to recover the deleted photos from your iPhone device. Step 1: First, Open your iPhone Data Recovery on the computer or mac. 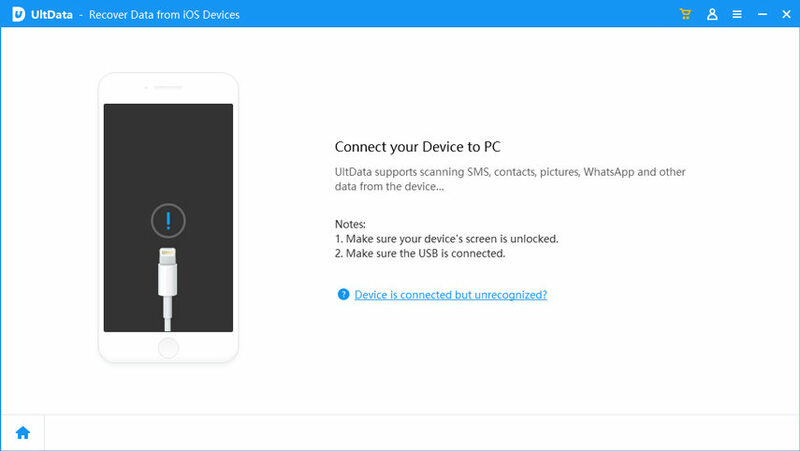 After installation completes, connect your iPhone device to the PC/.Mac. Step 2: Select the recover data option from your iOS device and check the photos if you actually want to undelete them only. Then simply click on the Start Scan option. Step 3: Scanning process will start and as it ends, simply preview all of the demonstrated images and select those you need. After this whole process, hit on the Recover button and simply assign the save path. Somehow, you managed to delete some important photos that you actually didn't want to delete. If you had made iTunes backup and really wants those photos back and looking for a way to recover erased pictures from iPhone then this method will definitely work for you. 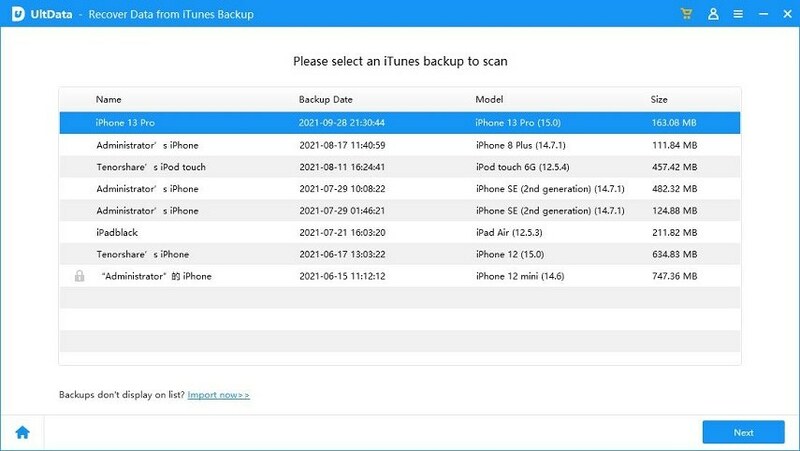 Just follow the below steps to get your photos back to your iPhone device from iTunes backup. Step 1: Open iTunes on the Mac or PC that you have chosen to backup up your iPhone device. Step 2: Connect your iPhone device with the help of a USB Cable. Step 3: In iTunes, click on your device which appears in the upper left corner. Step 4: Then right click on your iPhone device and press restore from backup. Step 5: Just select the latest backup and proceed. Overall, this method is a good choice to recover photo with the help of iTunes backup if you don't have any other alternative. As it has many disadvantages like when you recover erased pictures from iPhone with iTunes backup then it also restores all the previous data to your iPhone and can also result in the loss of data for which you haven't do the backup. So, if you really want a simple and safe way to recover only erased photos from iPhone. Then, Tenorshare iPhone Data Recovery is best to choose from. It is a great tool to use to recover photos from erased iPhone without restoring any unnecessary data to your iPhone. To recover your photos from your wiped iPhone with the help of iCloud backup, just follow these simple steps. Step 1: Power on your device and you should see a welcome screen. Step 2: Follow the all required on-screen setup steps until you see apps and data screen option. Step 3: Then, click on restore from iCloud backup and sign in to your iCloud with your Apple ID. Step 4: Choose the latest backup and wait for the process to get complete. Step 5: As the process will finish backup you will get all data backup to your iPhone. Well, this seems an easy process to recover erased photos from iPhone but it has some major disadvantages that are listed below. 1. You have to store all the unnecessary data with the photos that you don't actually need. 3. You cannot directly recover photos from iCloud backup when iPhone becomes freezing, inaccessible. These are major disadvantages that you can face while restoring photos from iCloud backup. So, that's why we recommend users use Tenorshare iPhone data recovery to selectively recover photos from iCloud without any above issues. There are 3 major ways to recover photos from erased or wiped iPhone. But expect Tenorshare iPhone Data Recovery each of them has some major disadvantages like a time-consuming process, storage of unnecessary data and as well as also deleting of stored data. So, if you are looking for an ultimate solution to easily recover pictures from erased iPhone then Tenorshare UltData will be definitely a perfect choice for you.